Note: major spoilers for the movie “When Ghost Meets Zombie” below. I’m not here to tell you how terrible When Ghost Meets Zombie is as a movie, or how there is a scene in which a lady literally uses Nathan’s Hartono’s abs as a washboard to clean her clothes. There are already plenty of movie reviews out there which do that (maybe minus the washboard abs). Instead, I want to tell you about something interesting I observed about the movie’s plot—the character arcs of the five main characters would probably never work outside of the Singaporean context. There’s something uniquely Singaporean (for better or worse) about the story of When Ghost Meets Zombie, and I believe there’s something we can all learn from thinking a little bit harder about this. Jessica Liu, on the left. On the right, Jeremy Chan. Jessica Liu plays a mortuary cosmetician who recently had her MMA fighting boyfriend (played by Andie Chen) stolen by a cosmetician who worked for pageants (played by Kate Pang). In a confrontation in the middle of the movie, Kate Pang’s character ridicules Bai Bai for not being a proficient enough cosmetician, which is why she is only able to do makeup on corpses. In a later scene, Bai Bai is shown still pining for her former boyfriend, while Zhen Zhen criticises her for being a “loser”. Bai Bai’s character arc resolves via a cathartic moment—she is able to perform a massive feat of cosmetic skill—and the movie validates her by showing her gloating in front of Kate Pang while the other beauticians applaud her amazing cosmetic achievement. 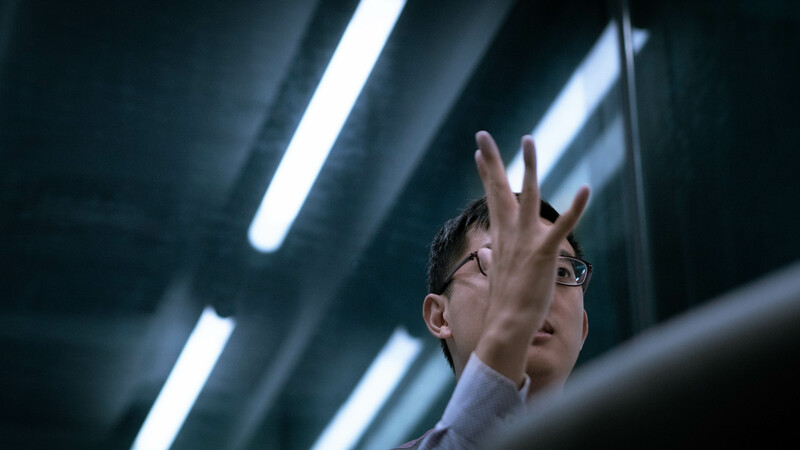 Bai Bai’s story is a Singaporean story because it’s a story of how much we desire the validation of others for our skills and achievements, and how we’re often in a rut when we lack such validation from others. It is very interesting to note how Bai Bai resolves this: not by accepting herself for who she is, not by realising that her job is no less lowly or undignified, not by realising the man who left her is not worth pining for. Bai Bai only reaches catharsis when other people recognise that she is talented, and that the aspersions cast upon her ability are unwarranted. Is this not also true for many Singaporeans? Do we not feel the (irrational) need to be recognised and validated by others as “winners” before we find the ability to love ourselves? This is worth thinking more about because in real life, not everyone will obtain such recognition and validation. Not everyone will have achievements they can show off (or maybe they do but not the opportunity to show off), and for these people, are they doomed to be ashamed of their own mediocrity? Jeremy Chan on the right. Jeremy Chan plays the man who is in love with Bai Bai, but lacks the courage to confess his feelings to her because he feels inferior to her ex, who had previously bested him in an MMA bout. His arc gets resolved by finally defeating Andie Chen in physical combat, restoring his masculine confidence, allowing him to make moves on Bai Bai. Lai Lai’s story is a story of the Singaporean man, who feels he needs to prove his masculinity to himself before he has the courage to court women. Or worse, it is the story of a man who feels like his display of raw masculinity entitles him the right to his desired woman. Either way, one does not need to be a card-carrying feminist to see why either of those narratives are harmful to both men and women. We must be careful not to celebrate physical violence as a mark of masculinity (in another scene, Nathan Hartono, possessed by a female ghost, physically assaults Constance Song’s character and this scene was actually framed by the movie as righteous). We must also depict romance in less stereotyped and primal ways; Bai Bai rewarding the best fighter (or more masculine man) with her love is a terrible trope to perpetuate. There are much healthier ways to depict romance and courage. Bai Bai could have acknowledged Lai Lai for his sensitivity and his selflessness, and Lai Lai could have realised that self-acceptance has nothing to do with his prowess for physical combat. By far, the best acting in the movie was by veteran actress Fann Wong, who plays Zhen Zhen’s mother. It is revealed that Meng Na was not supportive of Zhen Zhen’s participation in beauty pageants, and had even physically hit her during an argument, resulting in Zhen Zhen running away from home. Meng Na’s story is the story of the Singaporean parent. She is anxious that her child is ruining her life with her own life decisions, and sees it as her own parental responsibility to change her mind, be it using emotional blackmail or even physical violence. On the 7th day of Zhen Zhen’s death, Meng Na cooks her favourite food before eating dinner with the urn of Zhen Zhen’s ashes. This is how Singaporean mothers show affection for their children: by cooking their favourite food and maybe shoving it on their plates during dinner. Yet this is not the affection their children need. Their children need to be vocally affirmed for who they are, and not only praising (or admonishing) for what they do. Parents should not be surprised when children rebel and lash out at them for being overly controlling, but at the same time they should not interpret such rebellion as a lack of love or filial piety. The love between parents and children is complex and imperfect, but it is also not as fragile as parents sometimes fear it is. To her credit, Meng Na recognises this in her moment of catharsis. 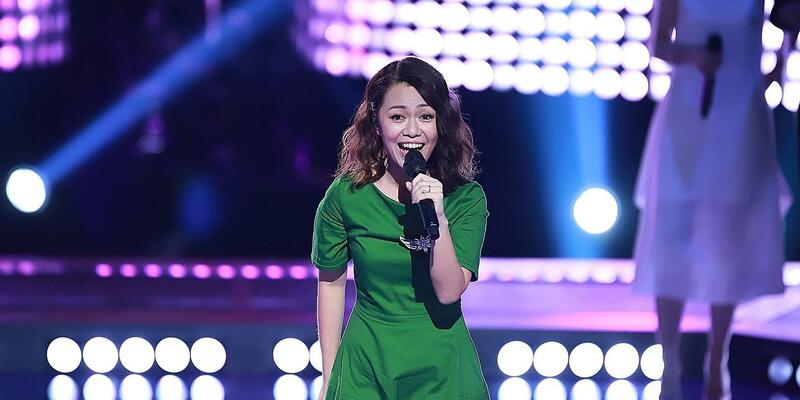 In a reversal of her initial disapproval of Zhen Zhen’s pageant dreams, she is the first to stand and affirm Zhen Zhen’s pageant speech, finally embracing her daughter for who she is and what she stands for. Former K-pop singer Ferlyn G plays Zhen Zhen, the female progatonist. Her character is not written very well, but her narrative arc is primarily concerned with her coming to terms with her own selfishness. During an argument, Bai Bai criticises Zhen Zhen for using hurtful labels such as “loser” and “coward” on her friends. She also berates her for being argumentative, estranging her from her relationship with her mother. In one scene, she berates Nathan Hartono’s zombie for tearing apart his zombie-controlling effigy, screwing up their plans to fulfil her dreams, while having no empathy for how much the same effigy was causing him distress and loss of agency. 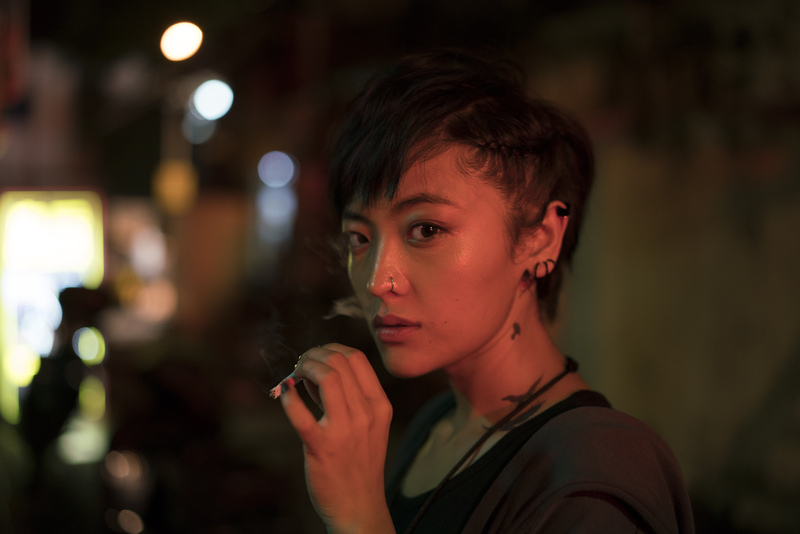 Towards the end of the movie, in response to Nathan Hartono’s injuries, she cries, “I’d rather give up my dream than see you hurt again,” signifying the turning point in her own narrative arc. Zhen Zhen is the young idealistic Singaporean hoping to find personal fulfilment in the chasing and achievement of their personal dreams. Her catchphrase, “If you have no dreams, you are no different from a walking zombie,” comes from the same Disney-inspired sources as “just follow your passion” and “if you work hard enough at it, you can achieve anything you want”. But sometimes, as is the case with Zhen Zhen, this confidence and self-assurance is but a veneer and a front for a deeper existential longing. One which she was deprived of because she lacked the unconditional love of her mother and the validation of those around her, compelling her to cling to the belief that her existential longing will be satisfied by the pursuit and achievement of her dreams. In truth, she herself will provide her own meaning for existence, and she will need no other. This is why I believe Singaporeans who think this way are idealistic, and ultimately will find themselves disappointed. Psychologists and successful businessmen have both come on record to say that “just follow your passion” is terrible advice. Life is much much messier and unpredictable than that. Recently, whenever I feel like procrastinating, I often browse NUSWhispers and NTUConfessions, and I am surprised how many people feel the “answer” in life is to “improve yourself”, and implicit in this assumption is that if you improve yourself “enough”, life will be okay. How on earth did young Singaporeans come to such a conclusion? Do they believe that God looks down from heaven on our efforts at self-improvement, and gives his blessings to those who have worked hard enough? Here is why I think many young Singaporeans feel this way: they refuse to believe they don’t have control over your own lives. They refuse to believe that whether success or failure come their way, the ONLY attributing factor is themselves, how talented they are, or how hard they’ve worked. It’s not environmental factors. It’s not systemic inequality. It’s not the education system. It’s not government policy. It’s all on me. Because if it’s not, the loss in having agency over your own life can be existentially harrowing, and we refuse to face that abyss. This is where I believe we can learn from the last character in the story. 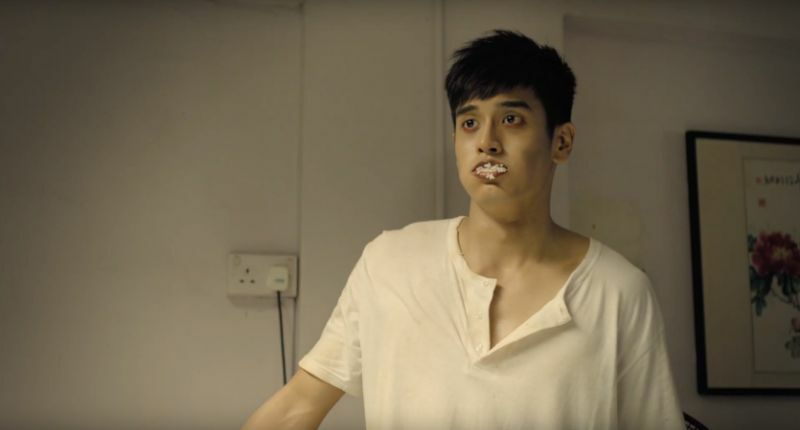 Nathan Hartono's zombie is the character that tells us how to be human. Pong, the Thai zombie played by Nathan Hartono, is the only non-Singaporean character here. And this is significant. Pong doesn’t suffer the same anxieties that plague Bai Bai, Lai Lai, Meng Na, or Zhen Zhen. He doesn’t feel anxious about lacking validation from others. He doesn’t feel the need to prove his masculinity. He doesn’t question Zhen Zhen’s love for him when she doesn’t remember who she really was. And no matter how much pain he is in, he doesn’t put his own well-being above others. His motivations are simple and single-minded—to care for those he loves, even at great sacrifice to himself. It is this single-minded pursuit to selflessly and unconditionally love which is the catalyst resolving the character arcs of all the other 4 characters. Perhaps it was unintentional (and it is kind of a movie trope), but it is still quite ironic that while the other characters were teaching Pong how to pretend to be a human, it was Pong who showed the other characters what it means to truly live like a human. This could have been such a good movie. It just needed a better scriptwriter. Seen anything good lately? Tell us all about it at community@ricemedia.co.